This will be our Rotary Service Award Lunch, where our club will give our annual service award to a deserving local citizen. 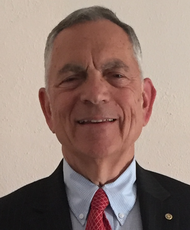 Our speaker will be Jim Kessler of Seeing Eye. Jim has trained some of our club's steadiest and best-behaved attendees over the years, and he's going to tell us how Seeing Eye does that. 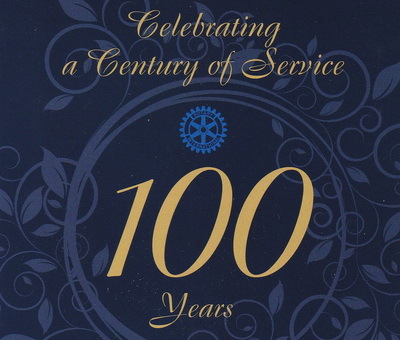 100th Anniversary Gala Fundraiser - Celebrating the Rotary Club of White Plains, at the Woman's Club, 6:30-10 PM. Women were not allowed in Rotary until 1987. White Plains played a meaningful role in changing Rotary's rules to admit women! Thank God we did! Here is the rest of the story. First woman inducted by an R.I. president! We award scholarships every year to students at the high schools in White Plains. In addition, we make contributions to community groups and we support The Rotary Foundation of Rotary International. Click for a contribution summary. Every year, Rotary is a sponsor of the Loucks Games, the largest high school track meet on the East Coast. We are proud of our involvement. HOW TO INTRODUCE A SPEAKER -- One of the most important jobs for every Rotarian leader, giving a speaker a proper introduction is the most often bungled incident in public speaking. White Plains Member Paul Schwarz gives us this 1-page guideline for how to do it right. ROBERTS RULES OF ORDER -- Our board meetings can be better run if we follow the rules. It's not that hard to learn and follow Roberts Rules of order, and your meetings will be better. ROBERTS RULES OF ORDER -- Chart of Motions -- This is an excellent reference chart, a 1-page PDF for those already conversant with Roberts Rules. Main Motions are listed in order of precedence. A motion can be introduced if it is higher on the chart than the pending motion. Incidental Motions have no order of precedence; they arise incidentally and are decided immediately. needy and homeless people -- now through December 18.
or simply drop them in our collection box in the Crowne Plaza hotel lobby. "Foundation of the Rotary Club of White Plains" is tax exempt, New York State #219346, tax ID 13-6165380.